Customizable Pocket Watch from Montana Silversmiths. Click an image to enlarge. Download the Catalog of Figures to see the full selection of figures and lettering that can be displayed on this pocket watch. Texas Pocket Watch by Montana Silversmiths. Engraved silver silver pocket watch with a high quality, electronic quartz watch movement by Citizen. 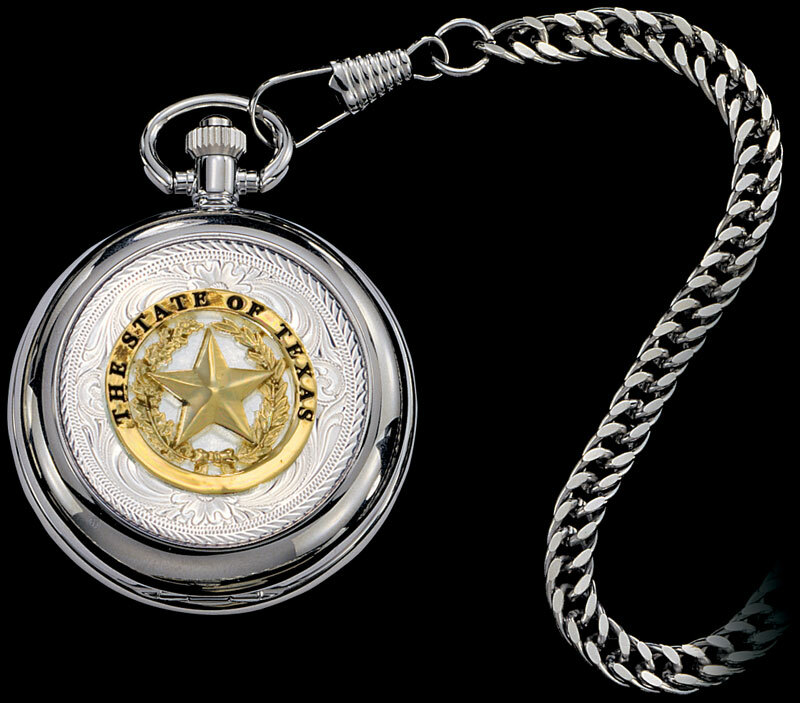 The Cross Pocket Watch features a gold State Of Texas seal. Large, easy-to-read black numerals are displayed against a white dial. Includes a metal chain and clip. The Texas Pocket Watch is made to order so please allow 4 - 6 weeks until shipping.